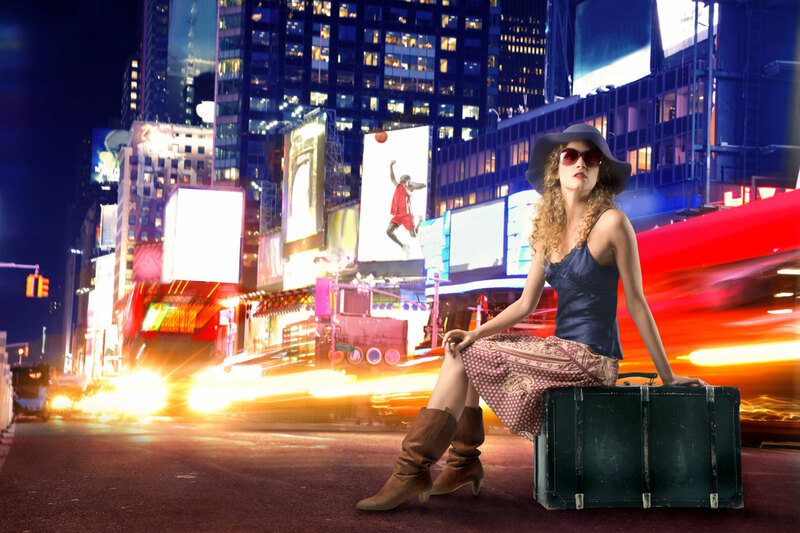 Home » Featured » Is Choice Truly Demotivating for Travelers? The Paradox of Choice: Why More Is Less is a 2004 book by American psychologist Barry Schwartz, which explains that “too much of a good thing has proven detrimental to our psychological and emotional well-being.” As marketers, we tend to believe that the more choices we offer customer, the higher the ROI. Findings from 3 experimental studies starkly challenge this implicit assumption that having more choices is necessarily more intrinsically motivating than having fewer. These experiments, which were conducted in both field and laboratory settings, show that people are more likely to purchase gourmet jams or chocolates or to undertake optional class essay assignments when offered a limited array of 6 choices rather than a more extensive array of 24 or 30 choices. Moreover, participants actually reported greater subsequent satisfaction with their selections and wrote better essays when their original set of options had been limited. But does this apply to the travel industry too? Experts suggest it may. Travel Tipper offers a free paper, which will show you how to make the most of your direct booking channel if you are a hotelier. Among their tips, data from eConsultancy shows clear that people are most likely to book when shown the total price, and least likely to book when asked for payment details. It is both imperative and possible for hotels to reduce abandonment and improve conversion rates, as the Travel Tipper proves: consumers may visit up to 38 sites before making a travel choice, and many will compare rates on 5 to 6 sites, as Skift reported, many of which are OTAs. Small hotels with independent booking engines often lose the race, when their own booking engines return prices higher than the major OTA sites. Price comparison shopping is here to stay, there’s no way around it. For this, Travel Tripper offers a tool called the Automated Best Rate Guarantee, which displays real-time rates from major OTAs, while automatically price matching with a discount on your booking engine, whenever prices are lower elsewhere. Of course, there are way around automation, but they take dedicated staff, 24/7 support, and strong research skills to implement. Many hotels turn to social media sites like Facebook and Twitter, offering special coupons and other types of discounts and offers, to attract customers directly. Even such practices require consistent financial efforts: tools that publish and track these campaigns are necessary to measure ROI. For example, Woobox, offers a full array of marketing tools to reach audiences on Facebook, Twitter, Pinterest and YouTube. But even with such a comprehensive arsenal, hotels still struggle to retain customers, some simple because they fail to simplify the decision making process for travelers. Too many room choice, too many packages and offers, may overwhelm the decision process, and may defect to other booking sites, according to Travel Tripper. However, many hotels cannot reduce the number of choices, simply because their structure is set up to offer so many room types, for example. Instead of reducing choices, Travel Tripper suggests to split the booking process into more digestible chunks. The whitepaper offered free by Travel Tripper to help hoteliers maximize bookings is full of similar highly valuable information. An important aspect is how an unattractive, outdated booking engine, can kill a sale. 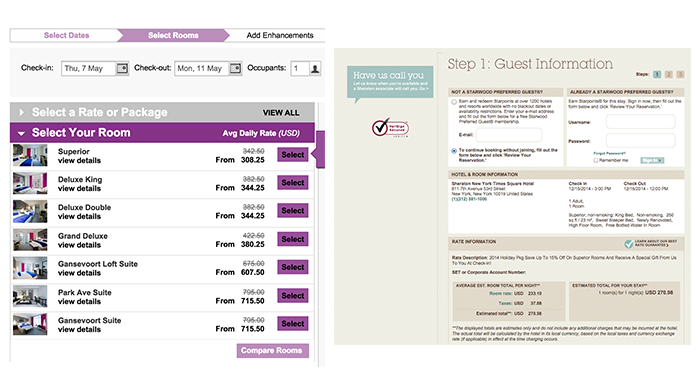 No matter how beautiful the rest of the site is, when the booking engine looks like in the early 90s, users may decide to book somewhere else. Beautiful photography can make or break a sale. The most successful travel booking sites understand this and have invested a lot into creating a user experience that maximizes the use of visuals. Although Travel Tipper’s free paper is designed to sell Travel Tipper services and products, it is still very useful at its core: most mistakes made by stubborn, know-it-all hoteliers, are included, and addressed. You’d have a lot to gain if you followed at least half of the valuable advice offered by the company.